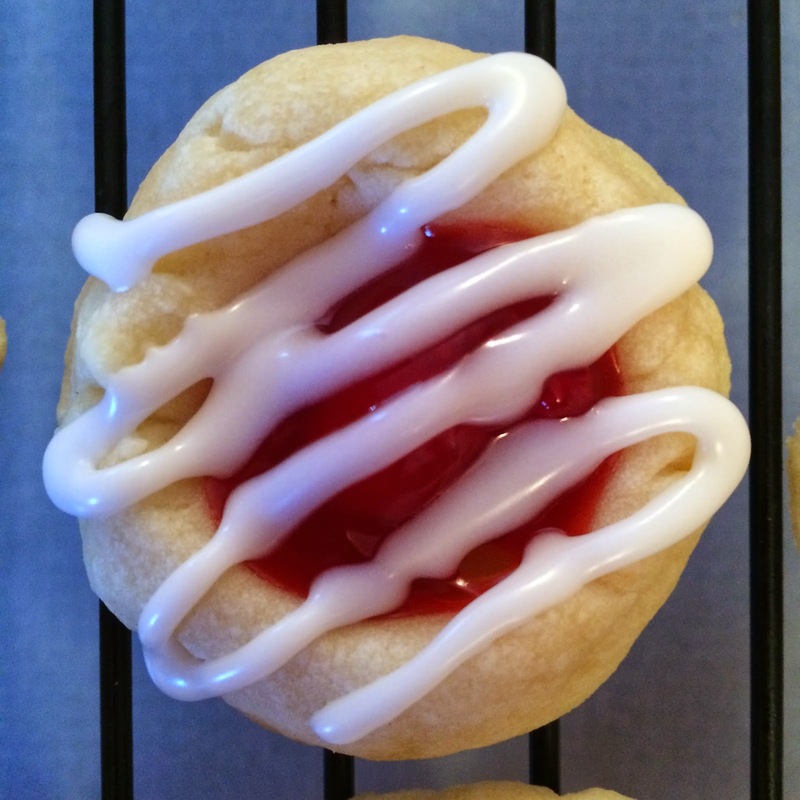 Are you looking for a festive and easy cookie to bring to a cookie exchange or a holiday party? Well I have the perfect cookie for you! 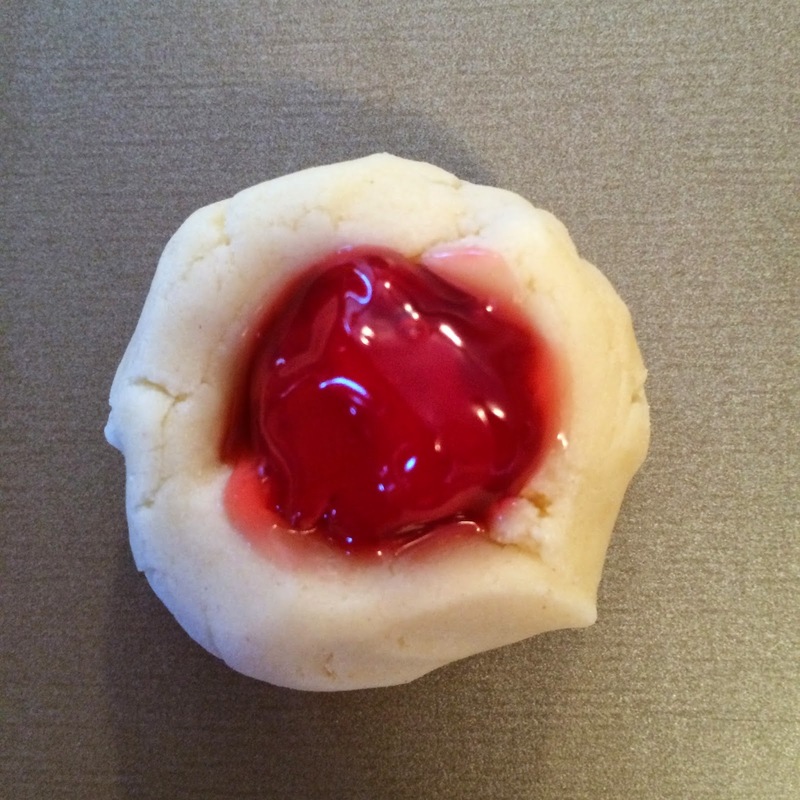 These cookies are super simple, shortbread thumbprint cookies with cherry pie filling. 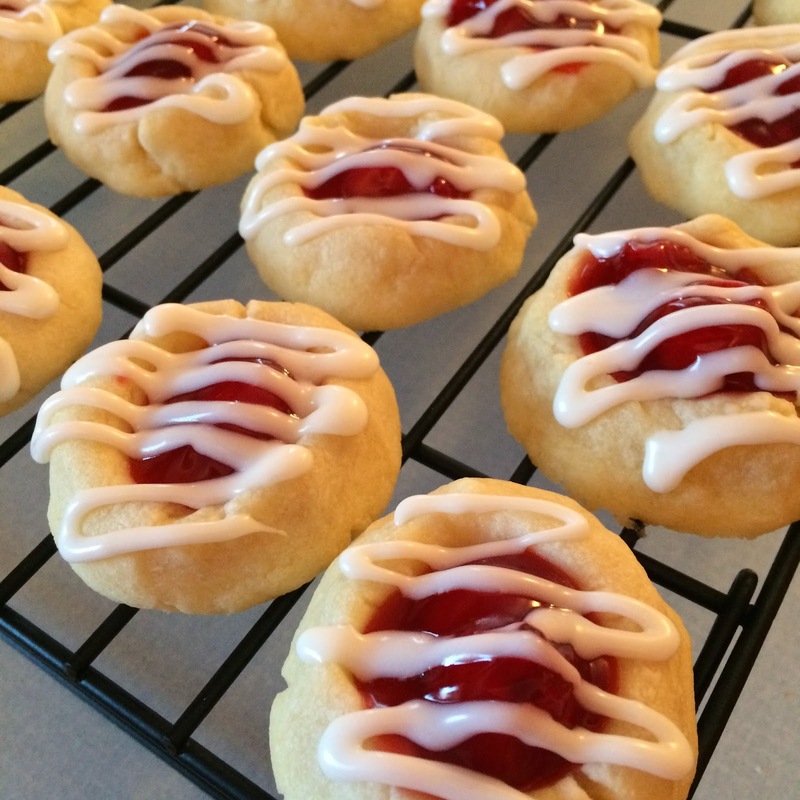 Add a little almond extract and a powdered sugar glaze and they are DELICIOUS! 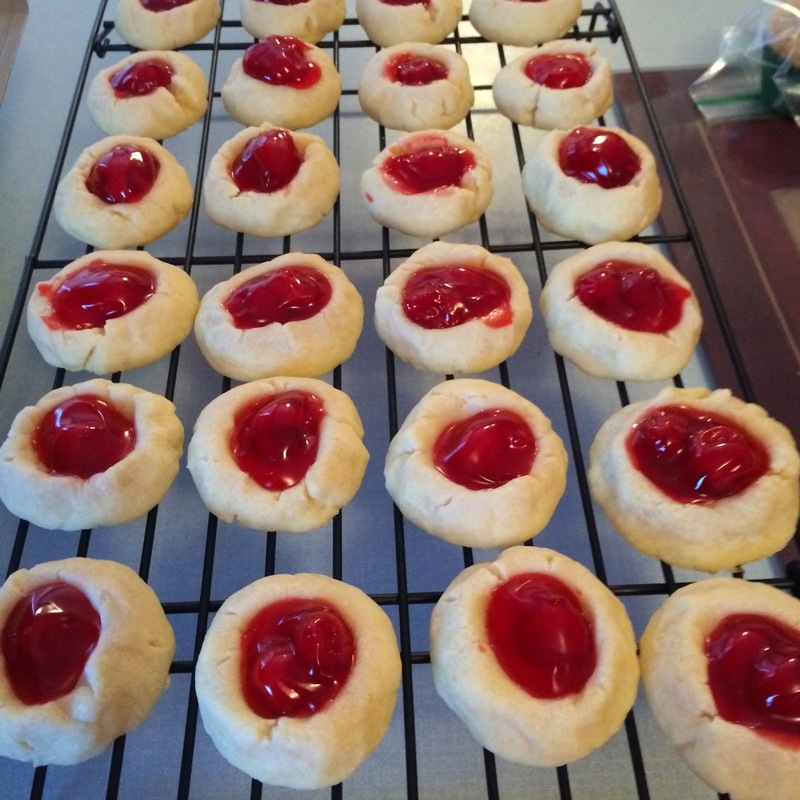 The best part is they are a really pretty cookie and will look wonderful on their own or on a tray of mixed holiday cookies! 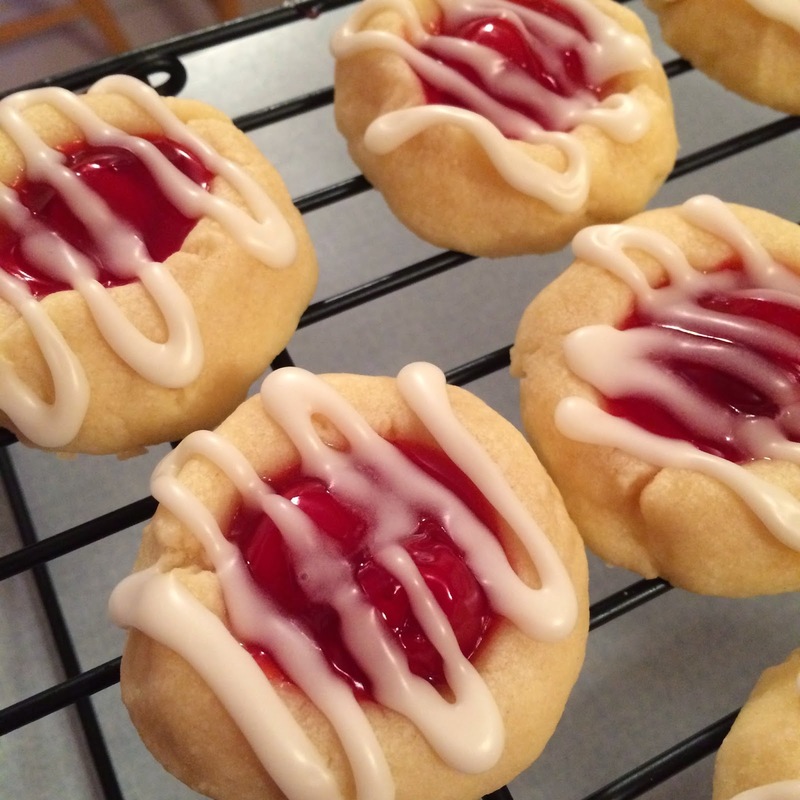 These Cherry Pie Cookies are not a cake mix cookie, but they are so so so easy! In fact the actual cookies only have 5 ingredients! And the glaze has three!